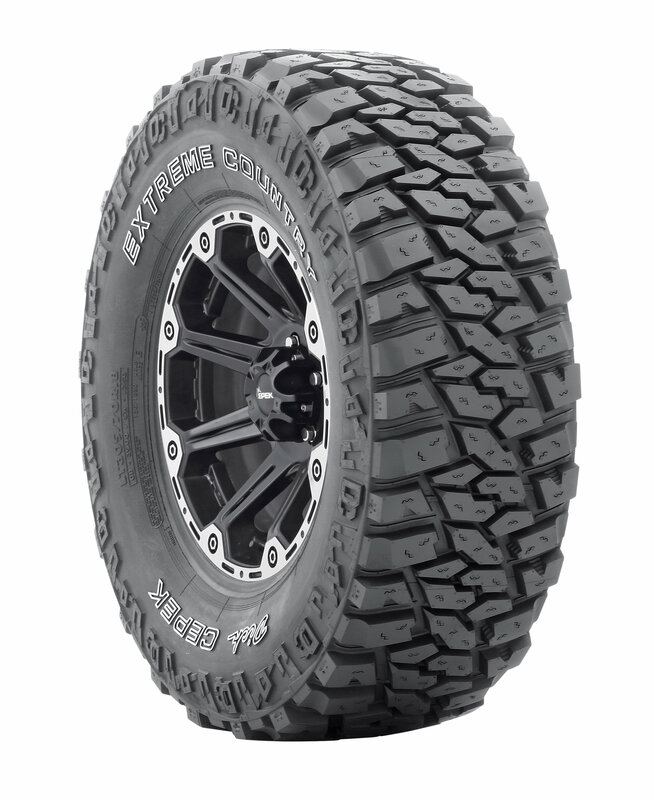 The EXTREME COUNTRY™ mud terrain tire is designed with off-road enthusiasts in mind. 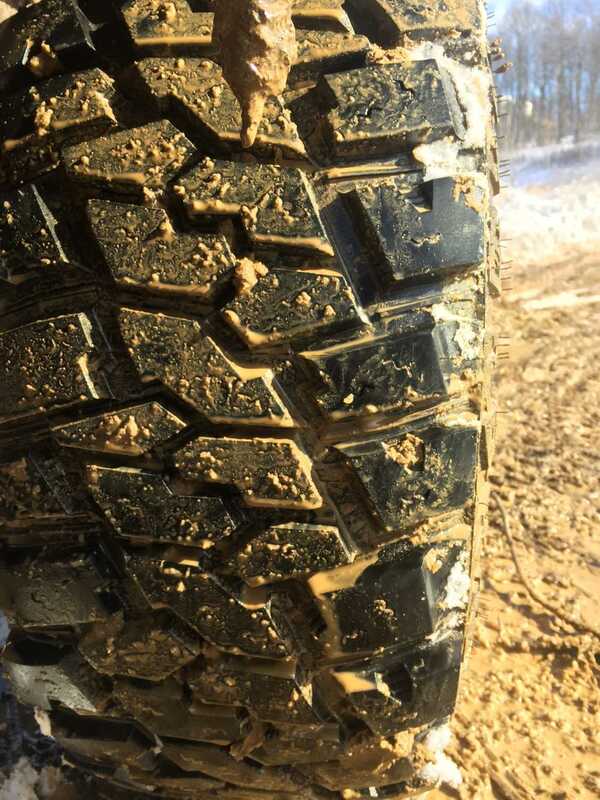 The tread compound is excellent for maximum traction and even wear during extreme adventures. 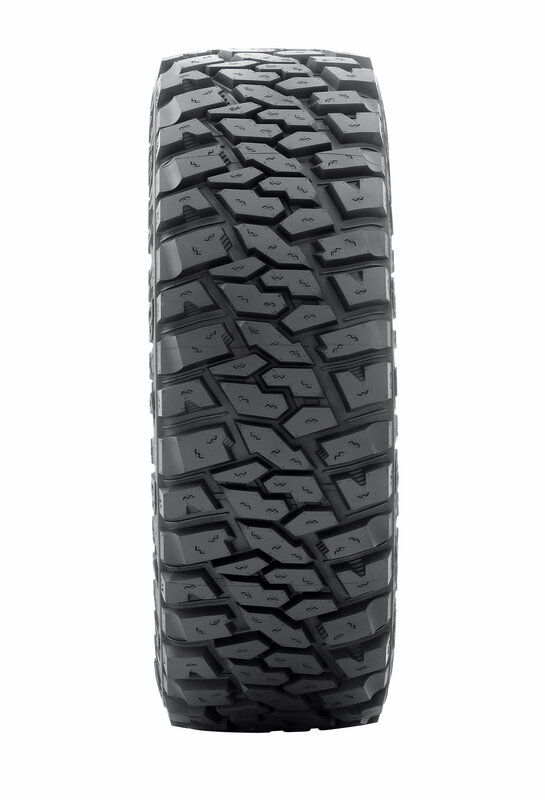 The extra tread depth provides excellent traction and long life. Two-Ply Next Generation High Tensile (HT) Body Ply Cord enhances sidewall strength without adding weight, rolling resistance, heat buildup or ride harshness. Wide outer void and angled shoulder scallops provide ultimate off-road traction and self-cleaning ability. Tighter inner void/large surface area tread elements provide greater contact area for better handling and a quieter ride. The EXTREME COUNTRY is mud and snow (M+S) rated. Tire Height: 30.60" or 31.70" or 32.80" or 34.70" or 31.80" or 32.90" or 33.50" or 33.00" or 34.50" or 35.00" or 33.30" or 34.30" or 32.60" or 37.00"
When I first tested this tire in deep mud, where an all-terrain would just get clogged and not cut it, this new tire chewed through and kept me moving. The way it performed reminded me of how the Mickey Thomson Baja Claw tire performed in this type of environment, AWESOME! It's amazing how much confidence you will gain with this tire, it's truly an amazing design! During winter storm Jonas, I was really amazed on how well this tire gained traction in 3+ feet of wet, heavy snow. 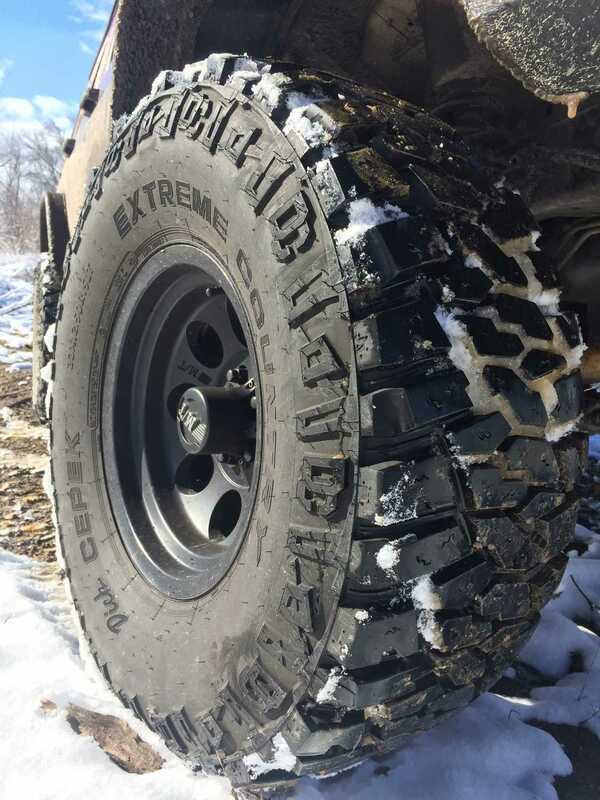 If you live in the northern states and endure plentiful snow fall amounts and don't want to get stuck inside, do yourself a favor, go get a set of these gnarly snow tires right now! 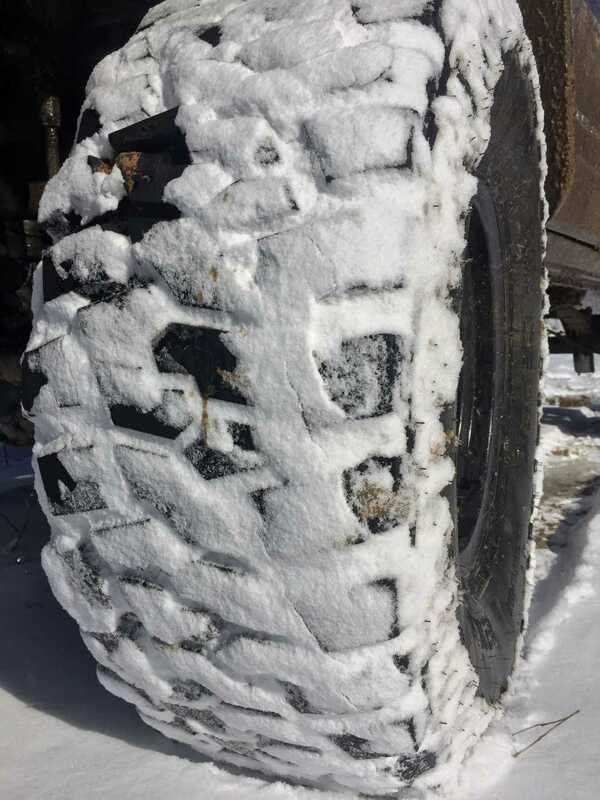 For snow and slush traction, the Extreme Country Radial tire is a true performance tire, it gets a 10 out of 10 rating for snow! Thoroughly impressed! They are holding up very well to daily abuse and are not really getting chopped up faster in the front due to steering. I've been very impressed with their resistance to wear in daily driving conditions! AWESOME NEW TIRE—GET A SET TODAY!